The human body needs hydration, we all know that. But what do you really know about the signs of dehydration? There are 6 stages that you will go through if you forget or ignore the need for fluids, and these will happen very, very quickly. We are not scaremongering, all we are trying to do is make you realise the dangers involved with dehydration, which you can so easily avoid. Thirst is one of those desires that can be put to one side all too easily – it is surprising how many people ignore it. 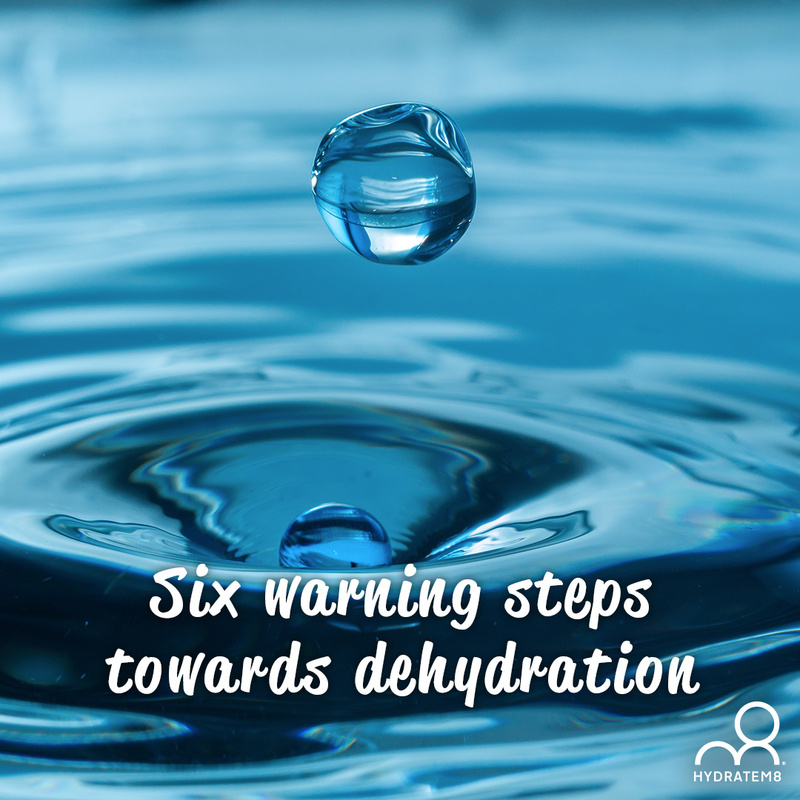 Before you realise it, this stage has passed, and further symptoms of dehydration are likely to occur. Avoid this by tracking your hydration levels throughout the day and into the evening and take adequate fluid intake depending on your work or play circumstances. Thirst within an hour can turn into dry throat, tongue and lips, because you are not producing enough saliva to compensate. You may be finding it hard to swallow after a couple of hours, and you will start suffering from the lack of minerals that water does provide. Just stop being a couch potato or stuck to your computer and go and get a drink. 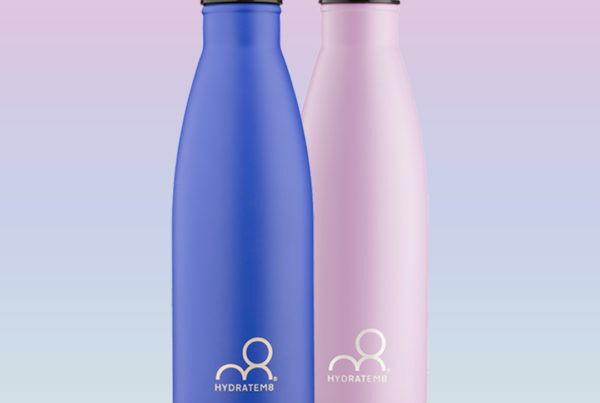 Even better, keep a water bottle next to you – Hm8 tracker bottles will remind you when to drink, and how much you need. Feeling tired, lethargic and everything is too much effort? Now you are on to stage 2. Fatigue is setting in, and everything starts to get a bit too much for you. You won’t feel well at all. Maybe you have a headache and can’t concentrate on the task in hand? You need to drink as soon as you can, don’t make excuses as things could soon get serious. If you go to the toilet, your urine is likely to be a much deeper shade than normal (see our ‘pee’ chart) because you are lacking fluids, and you may even be sweating a little. Sweating will exacerbate the dehydration problem, so you really must take in some fluids, and preferably water. Now please start to take notice, if you haven’t already. With dizziness often comes dry skin and you will probably go a ‘whiter shade of pale’, almost chalky in appearance. Don’t pass this off by thinking you have a virus or flu, and even if you do, water will help. The dizzy spell will worsen quite quickly, you will feel lightheaded as if you are in a bubble and not in contact with the world. Here is a surprising and scary fact – if you feel a bit tearful as you don’t feel well, tears will probably not surface, as you are so dehydrated by now, there isn’t enough fluid to produce them. Do the skin test – pinch your skin between thumb and forefinger. Normally, it would spring back, but if it doesn’t, there is no doubt whatsoever you need fluids, and quickly. 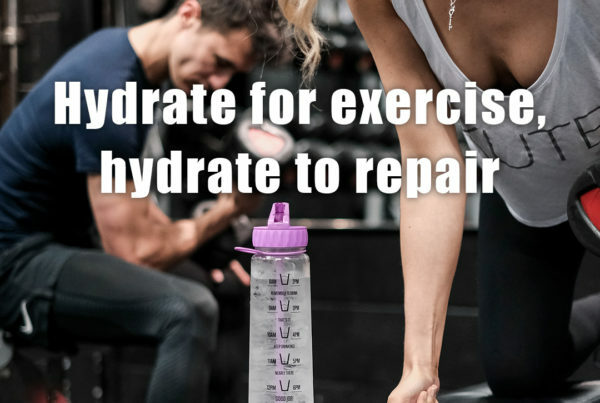 However, at this stage, fluids may not be quite enough, and you probably need some form of hydration salts or even supplements to counteract the loss of electrolytes from your body. By now, it will feel that someone has put an axe through your skull, and your eyes will begin to sink back into their sockets, and you probably won’t be able to stand without feeling you are going to fall over. Your legs will be wobbly, and you will feel terrible at this stage. You may feel sick and even vomit, which is compounding the already serious problem that you have (vomiting causes further dehydration). 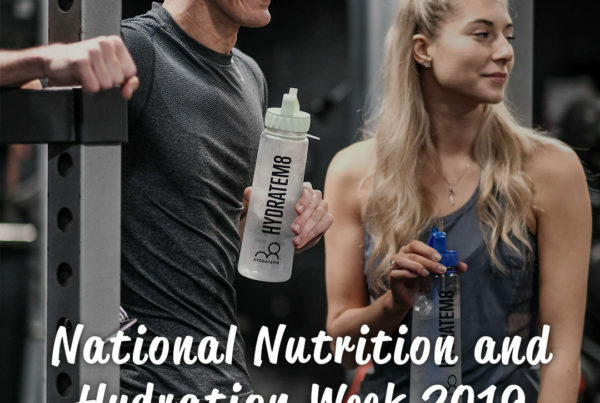 Hopefully, you haven’t got this far, but if you have, get someone to go to the chemist and get some rehydration sachets or supplements that treat the loss of electrolytes. It is now urgent that you rebalance your body fluids. If you heart has started to pound and you can really feel this, sit up and take serious notice as soon rehydration is not going to solve the problem. Your blood pressure will have dropped dramatically, as your blood cannot cope with the lack of fluid to pump around your body. You could be shuddering (and it’s not fear, it’s severe dehydration), so it’s now that you will need paramedic attention, and fast. Can’t pee, or peeing almost brown and disgusting urine? We can’t reiterate enough – you are now critical. Your body has so little or no fluid left to function. You may lose consciousness or pass out with delirium. You need experienced hospital staff. Drips are now the only possible alternative as you have hit rock bottom. We can’t begin to tell you how important hydration is to your body and your life. You can starve or fast for several weeks, but you cannot live without water. On a percentage scale, mild dehydration is considered to be between 3-5% fluid loss, moderate is 6-9%, and severe or critical is 10% or more. All for the sake of drinking enough water – is it worth the risk? Next PostWhat’s more important – your coffee or your cup?